A split verdict for the final two suspects charged in the fatal shooting of former Gov. Cuomo aide Carey Gabay sparked an outburst in the courtroom. Rana Novini reports. A verdict has been reached for the final two suspects in the 2015 slaying of an aide to Democratic New York Gov. Andrew Cuomo. Twenty-six-year-old Michah Alleyne was found guilty of manslaughter and criminal possession of weapon, but was acquitted of murder. His co-defendant, 27-year-old Stanley Elianor, was convicted of reckless endangerment, but acquitted of murder, manslaughter and weapons charges. On Monday, the same jury acquitted Keith Luncheon of all charges. 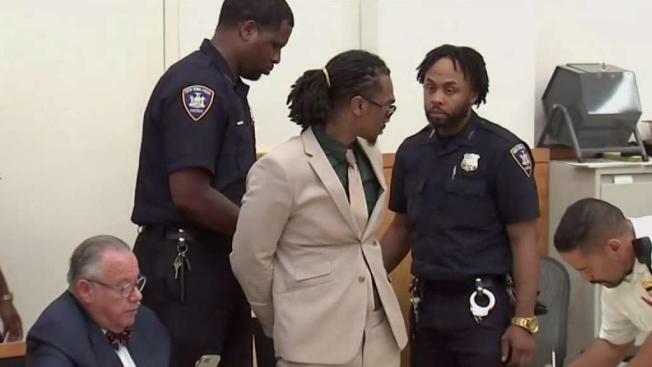 A separate jury last week found Kenny Bazile guilty of manslaughter in the fatal shooting of Carey Gabay, the deputy counsel of the state's economic development agency. Gabay got caught in the middle of a gang-related gun battle in the hours before a West Indian Day parade in Brooklyn. A fifth suspect took a plea deal.